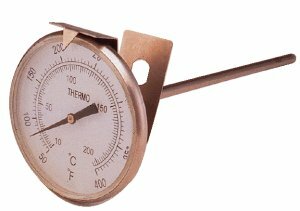 C100-2 SERIES BI-Metal Thermometers Pocket Test - - - -2"
This precise thermometer is designed for laboratory ,or or plant use where accurate readings is required. E ither by hand hold or install with pen and clip on tray and beaker. Options: Special range, stem and lens.